The icon above has a link for you to click on to so you can send a Christmas card to our country's Heroes. If you have a extra card when you send out your cards this year. Wouldn't it be nice to send just one card to the address so we could all help to give our men and women over sea's a nicer Christmas and New Years. By receiving a personal greeting from someone who really cares about them. It isn't something you must do, but we just thought it would be something real special to do. So it is up to you now. Below is the web link to the Red Cross site and on it is a logo title Holiday Mail for our Heroes just click onto it and it will give you all the information like address to use and such that you need. All cards must send a card by the 10th of December. photo to go to their weather site also information on setting up your weather radio stations which many of us have now. The term "boondocking" means different things to different people. Free camping, overnight RV parking at places such as Wal-Mart or truck stops, and any time RV hookups are not available (dry camping) have been referred to as boondocking. www.rv-camping.org defines boondocking as remote location dispersed camping. With this in mind, you might call boondocking advanced RV camping. This type of camping isn't for everyone. Dispersed camping in remote areas requires research, exploration, and a sense of adventure to find great campsites. The term "dispersed camping" has started showing up in official US government agency web sites. It also has been referred to as "car camping", and is defined by the USDA Forest Service as "camping outside developed campgrounds". To find boondocking campsites, you need a good map. We recommend Benchmark Maps and the Atlas & Gazetteer by DeLorme Publishing Company to find RV camping locations and as a great paper recreation atlas. Put that together with DeLorme Topo 6.0 Software and you have a powerful set of tools to help find the best RV camping sites. NEW - The USA Map on our home page has links to each individual states public lands administrators website. It's a great place to start looking for RV camping and boondocking locations. As a general rule, boondocking is allowed anywhere on federal public lands within 300 feet of any established road, except where otherwise restricted. That's not to say that you can cut down trees or build a new access way into your RV campsite. The idea is to utilize previously used campsites, or areas that will not be damaged by your vehicle. US National Parks do not allow overnight RV parking and boondocking, and overnight stays are limited to designated campgrounds. USFS (United States Forest Service) and BLM (Bureau of Land Management) high popularity areas often have restricted camping areas. For example, the area around Mammoth Lakes, CA is extremely popular with tourists, and many areas allow camping only in designated campgrounds. Information about camping restrictions are available at USFS Ranger District and BLM Resource Area offices. Generally speaking, you can stay 14 continuous days for free, but subsequent camping days must be 25 miles away. This rule applies to most BLM and USFS administered lands, but there are exceptions. For example, the INYO National Forest of California allows 42 day stays at designated camping areas, while the Bridger-Teton National Forest in Wyoming has areas that it allows only 3 day stays near Grand Teton National Park. BLM LTVAs (Long Term Visitor Areas) allow stays of several months for a nominal fee. We've only mentioned the USFS and BLM so far, but FWS (US Fish & Wildlife Service), USACE (Army Corps of Engineers), Bureau of Reclamation, State Parks, and State owned lands offer boondocking opportunities. Arizona for example has a permit available for a nominal fee allowing boondocking on State lands. There are also boondocking opportunities to be found on private lands. Ranches and farms may have a corner of the "back 40" they will allow you to stay for free or small fee. If you find a spot you would like to camp that is on private land, it never hurts to ask. We've had good success in farm country asking permission to camp at nice areas near a river with good access for overnight boondocking...we usually share the space with cows. We know of no public land locations that allow unlimited length of stays, and while BLM Long Term Visitor Areas (LTVA) permit multiple month stays, some Public Lands have specific length of stay limits of as little as two days. It is your responsibility to learn and follow the rules. Rules are published on official Internet web sites, and are available at public land managers offices. Private RV Parks - Research tools for finding the best RV parks and campgrounds in Michigan. National Park Service - NPS information about National Park Service administered lands and camping in Michigan. Lake shore campgrounds makes great RV camping destinations. USDA Forest Service - USFS information about both National Forests and free dispersed camping (boondocking), and developed campgrounds in Michigan. US Army Corps of Engineers - USACE/COE information about COE managed lands in Michigan. Michigan State Tourism Website - Where to go, and what to do. Includes campgrounds. 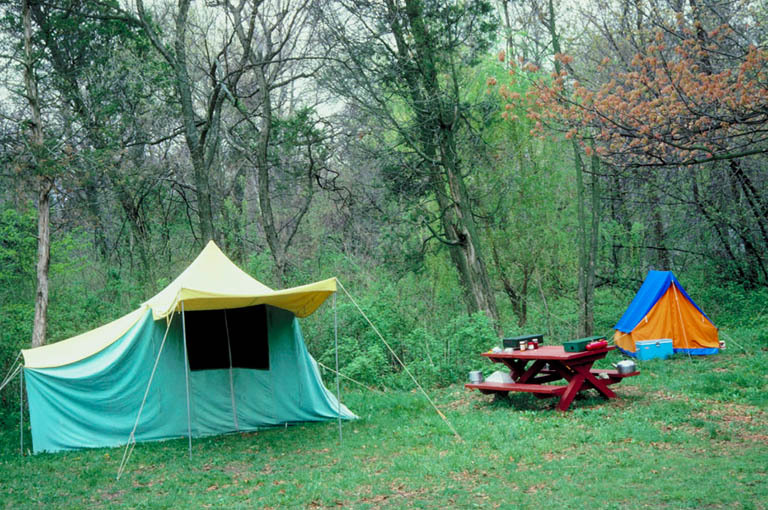 of camping in state parks and forests with differing levels of facilities. and according to their rules, you can camp anywhere in the forest at least a mile from a campground where it is not posted "No Camping". Camping Reservations - Michigan Federal Campground Reservations. RVDumps.com - Places to dump in Michigan. RV dump stations listed by town. This link will help you find out what the weather is all over the United States. let us know and we will add it to our list if we can. This is a wonderful site nothing to do with travel but one that shows gratitude and thanks for many citizens in all kinds of service to and for our country. Please check it out and save it in your favorites. We are sure you will enjoy it immensely. This is a site recomended by a Good Sam Member Hope you like it also. Noaa Temperature/weather readings all over the country on one map. and weather conditions are in cities all over North America. Click onto the link right below to take you to the page. "The Ultimate Guide to RVing Resources"